The first of four next-generation weather satellites has completed assembly at Lockheed Martin. The new Geostationary Operational Environmental Satellite “GOES-R” will launch atop an Atlas V rocket in early 2016, ahead of providing significant improvements to monitoring the weather conditions over North America. A large fleet of GOES spacecraft remain in space to this day. Most are either inactive or re-purposed, with GOES-3 no longer watching the weather but providing a communication links between the United States and Amundsen-Scott South Pole Station. 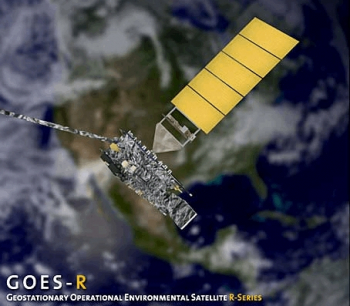 GOES-P – as it was known during its checkout period – became the sixteenth spacecraft in the GOES fleet, and the last of the three current-generation GOES-N series spacecraft for the National Oceanic and Atmospheric Administration (NOAA). GOES-R will be the next evolution and will ride to orbit on the ULA Altas V out of Cape Canaveral in March of next year. This new satellite will provide higher-resolution images of weather patterns and severe storms five times faster than is currently available, which will contribute to more accurate and reliable weather forecasts and severe weather outlooks. A key step towards its launch campaign was recently achieved at Lockheed Martin’s facilities near Denver, with the company confirming on Wednesday that the spacecraft has completed its assembly phase. 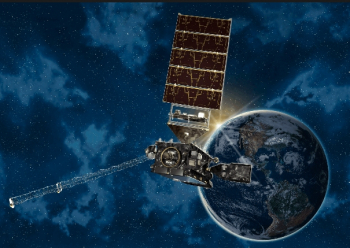 “NOAA’s GOES satellites are our nation’s weather sentinels and are vital to our severe storm prediction and warnings,” noted Tim Gasparrini, vice president and GOES-R Series program manager at Lockheed Martin Space Systems Company. That next phase of the processing flow for the satellite will involve a trip to a 65 foot-tall thermal vacuum chamber. 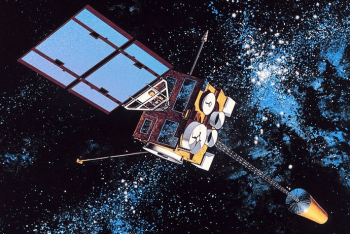 Over the next two months, the satellite will be powered-on, tested in a vacuum and exposed to extreme cold and heat. The satellite will also undergo a variety of additional tests including reverberant acoustic, separation and deployment shock, vibration, and electromagnetic interference and compatibility testing. 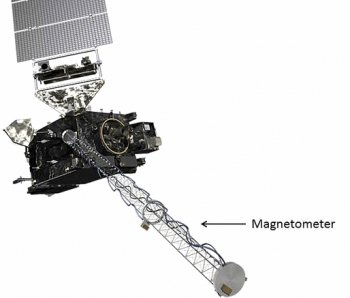 This will also be a key test of its suite of six instruments, namely the Advanced Baseline Imager, Extreme Ultra Violet/X-Ray Irradiance Sensor, Geostationary Lightning Mapper, Magnetometer, Space Environmental In-Situ Suite and the Solar Ultraviolet Imager. GOES-S will launch one year after GOES-R, both riding uphill on ULA’s Atlas V in her 541 configuration out of Cape Canaveral Air Force Station. (Images via Lockheed Martin and NOAA).